In January 2017, the U.S. intelligence community released a declassified assessment asserting that Russian President Vladimir Putin “ordered an influence campaign” directly targeting the 2016 U.S. presidential election. Subsequent indictments and investigative reporting have since fleshed out the intelligence community’s findings, revealing a sprawling campaign of political warfare involving all three of Russia’s intelligence agencies: the Federal Security Service (FSB), the Foreign Intelligence Service (SVR), and the Main Intelligence Directorate (GRU). In addition to providing background information, the document below traces how each agency figures into the American investigations into Russian political interference—primarily that of Special Counsel Robert Mueller but also the probes undertaken by Congress, the National Security Division of the U.S. Justice Department, the U.S. Attorney in the Southern District of New York, and other U.S. Attorney’s offices around the country. Russia’s increasingly aggressive intelligence operations in the U.S. and Europe, including most recently the poisoning of former GRU agent Sergei Skripal, have brought previously obscure agencies to the front pages of major newspapers. Understanding how the three agencies operate, interact, and compete is vital to fully comprehending the Kremlin’s political interference in the United States and abroad. Russian intelligence agencies’ focus on U.S. politics is not a new phenomenon. As the intelligence community’s January 2017 assessment noted, “For decades, Russian and Soviet intelligence services have sought to collect insider information from U.S. political parties that could help Russian leaders understand a new U.S. administration’s plans and priorities.” In the 1970s, the Committee for State Security (KGB) recruited a Democratic activist to report on Jimmy Carter’s campaign. More recently, after deep-cover SVR agents were arrested in the United States in 2010, it was revealed that they had reported back to the Russian government about the 2008 election. Russian interference in the 2016 election, however, was something new. The fact that all three agencies were involved in the Russian 2016 influence campaign, often overlapping in their targets and lines of influence, is striking. As Russian security expert Mark Galeotti notes, cooperation is uncommon for this “carnivorous, cannibalistic system.” While it is unclear, and perhaps unlikely, that there was such cooperation in the lead up to 2016, the fact that all three agencies converged on one common goal underscores one of the U.S. intelligence community’s central assertions: Putin must have directly ordered the devastating disruption of America’s democracy. The post-Soviet Russian intelligence apparatus is a bureaucratic labyrinth, covering all manners of intelligence gathering. (This apparatus is often referred to as Russian security services or intelligence services; herein they will be referred to as intelligence agencies.) In the Soviet Union, the KGB handled “everything from foreign espionage to domestic security” and prioritized the survival of the Soviet regime above all else. President Boris Yeltsin dismantled the KGB in the 1990s, eventually dividing its duties between the FSB and the SVR. Today, these two agencies are complemented by the GRU, the intelligence branch of the Russian military that survived the fall of the Soviet Union. The heads of the SVR and the FSB sit on the president’s Security Council, while the GRU reports to the General Staff of the armed forces. Galeotti explains that the agencies operate under three basic principles: Russia is constantly at risk; any loss for the West is a gain for Russia; and action is always better than inaction. The Russian intelligence agencies rely on both legitimate and illegitimate networks across the world to maximize their reach. They maintain “contacts within the regular underworld that can be leveraged or with whom they can join forces.” They also rely on more aboveboard groups to expand their reach, working with cultural-exchange programs and financial organizations to cultivate foreign assets and support Russia-friendly regimes, financially and otherwise. Putin prizes Russia’s intelligence agencies in part because of his background as an intelligence officer. He worked for the KGB from 1975 until the Soviet Union collapsed. In 1998, Putin became the head of the FSB, briefly serving in this capacity until his rapid political rise, under Yeltsin’s patronage, that culminated in his ascension to the presidency just a year and a half later. Though Putin is known to be particularly fond of the FSB, he has also historically played the three agencies off of one another. Under Putin, former intelligence officers have emerged as high-ranking businessmen and politicians, comprising a powerful clan collectively referred to as siloviki, or strongmen. Just as Putin has encouraged competition among his loyal oligarchs, he has also done so with current and former intelligence officials, who constantly compete for his approval through actions such as destabilizing democracies abroad and thwarting opponents at home. The FSB, which Putin briefly ran prior to becoming president, is often described as the main successor agency to the Soviet KGB. Established in 1995, the FSB handles domestic security, cyber security, information operations, and counterterrorism efforts, and, according to a report by the U.S. Senate Committee on Foreign Relations, is the most powerful Russian intelligence agency. During his first presidential term in office, Putin restructured the FSB to place it directly under his control. In 2003, following a reorganization, the FSB took charge on even greater cyber-espionage capabilities. According to the U.S. Defense Intelligence Agency (DIA), the FSB has three main objectives, namely countering foreign intelligence services, combatting organized crime, and ensuring economic and financial security. The FSB is headed by Alexander Bortnikov, a controversial figure who defended the head of Stalin’s secret police and Stalin-era purges. The FSB is reportedly indiscriminate when it comes to its partners, working with such disparate actors as foreign police forces, organized crime syndicates, and separatist rebels to achieve its goals. The FSB (along with the SVR) is also reportedly active in Europe, often working to support pro-Russian political movements and candidates. The FSB is known for employing kompromat, or compromising material (either real or fabricated), for blackmail, often to destroy the reputation of political opponents or other individuals who pose a threat to the Russian government. It is often understood that the FSB will compile and maintain kompromat on anyone over whom they feel they may one day need leverage. Although its official domain is domestic, the FSB has increasingly been active in foreign operations. One famous example of its international reach is the 2006 assassination of the former FSB-officer-turned-Kremlin-critic Alexander Litvinenko. After defecting to the United Kingdom in 2000, Litvinenko became a vocal opponent of Putin, accusing him of staging the infamous 1999 Moscow apartment bombings just prior to his first presidential election. Litvinenko deemed this alleged move, which Putin has denied, an effort to consolidate power through fear of terrorism. Litvinenko was later poisoned in London with radioactive polonium-210; British investigators subsequently concluded that both Putin and then-FSB director Nikolai Patrushev “probably approved” the poisoning. The alleged Russian agent Maria Butina, who was indicted in July 2018 for conspiring to act as an agent of the Russian Federation in the United States, reportedly maintained ties to the FSB while working to influence the Republican Party’s stance on Russia and develop relationships with the Trump team. Beginning in 2015, Butina allegedly worked at the direction of a Russian government official, later identified as Russian central banker Alexander Torshin, to infiltrate organizations with political influence “for the purpose of advancing the interests of the Russian Federation.” During this time, Butina allegedly “maintained contact information” for FSB agents and was in contact with a Russian diplomat who was suspected to be a Russian intelligence officer. The FBI reportedly “believes that [Butina] was likely in contact with the FSB throughout her stay in the United States.” Additionally, one of Butina’s reported financial backers, Russian oligarch Konstantin Nikolaev, allegedly has links to the FSB. Butina has pleaded not guilty to the charges against her, and Torshin and Nikolaev have denied all wrongdoing. Cozy Bear, one of the hacking groups responsible for hacking the Democratic National Committee (DNC) in 2015, has been identified by different sources as either the SVR or the FSB (not to be confused with Fancy Bear, which has been identified as the GRU). Various independent sources, including think tank reports and numerous articles, identify Cozy Bear as an FSB operation; in his book detailing alleged collusion between the Trump campaign and Russia, author and journalist Luke Harding also links Cozy Bear to the FSB. The FSB also plays a central role in the Steele dossier. According to the dossier, the FSB compromised Trump during his time in Moscow to the point where it would be “able to blackmail him.” The dossier also asserts that the FSB had a compromising file on Hillary Clinton, who had been on the agency’s radar since her days as First Lady. These allegations track with the FSB’s history of using kompromat as a method of control, and of maintaining such files on high-profile individuals as means of leverage. According to the dossier, the “FSB leads on cyber within [the] Russian apparatus” and “often uses coercion and blackmail to recruit [the] most capable cyber operatives in Russia into its state sponsored programmes.” The dossier also states that the FSB at one point had the lead on the Russian election-interference operation, noting that “lead on [Trump] operation moved from Foreign Ministry to FSB and then to presidential administration where it now sits.” It has been suggested, though never proven, that one of Christopher Steele’s sources for the dossier is a former KGB and FSB agent. 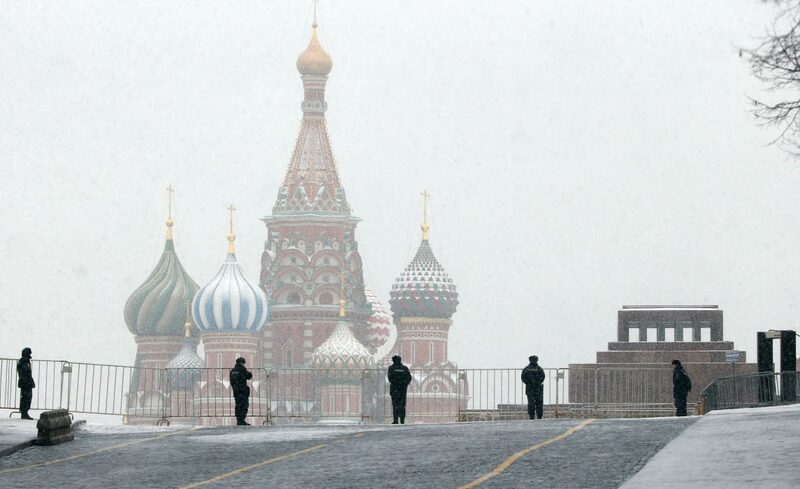 Russian intelligence agencies are exceptionally close to the Russian corporate world. Larger Russian businesses are often assigned an in-house FSB officer, and Putin reportedly often recruits FSB officers for high-level postings in the government or state-run businesses. These practices strengthen the hold of the siloviki in Putin’s regime. It is therefore unsurprising that numerous Russian officials and oligarchs with links to the Russia investigation are also tied to the FSB. Natalia Veselnitskaya, the Russian lawyer who attended the infamous June 9 meeting in Trump Tower with high-ranking Trump campaign officials, is allegedly linked to the FSB through her law firm. The firm, Kamerton Consulting, reportedly represented the FSB in litigation over real estate in Moscow between 2005 and 2013. Oleg Deripaska, the Russian oligarch to whom Manafort allegedly owes over $19 million, is also tied to the FSB. Deripaska’s righthand man is reportedly Valery Pechenkin, a former high-ranking KGB and later FSB officer. It should be noted that Veselnitskaya has denied any links to the Kremlin and all allegations of her firm’s wrongdoing, and while Deripaska has not commented specifically on these allegations, he has denied all allegations of wrongdoing related to the Russia investigation. The FSB’s election-interference efforts did not go unnoticed. In August 2016, then-CIA Director John Brennan reportedly called the head of the FSB to warn him against further interference, citing the FSB’s attempts to contact members of the Trump campaign. Furthermore, recent U.S. sanctions reflect the pivotal role the FSB played in both the 2016 election interference as well as ongoing cyber-attacks. The Obama administration sanctioned the FSB as one of several entities involved in “malicious cyber-enabled activities” in December 2016 in response to election interference. A March 2018 round of sanctions also singled out the FSB, accusing it of targeting Russian journalists and opposition figures as well as U.S. government personnel. Additional April 2018 sanctions targeted Russian oligarchs and government officials, citing “malign activity” including Russia’s actions in Ukraine, attempts “to subvert Western democracies,” and “malicious cyber activities.” This round included Nikolai Patrushev, the current head of Putin’s Security Council and former head of the FSB. Bortnikov, the current FSB head, is also subject to Ukraine-related sanctions in the EU and Canada. The U.S. has also sanctioned the FSB in response to malicious cyber activities outside of election interference. In June 2018, the Treasury Department sanctioned five Russian entities and three Russian individuals for engaging in subversive cyber activities in support of the FSB or other Russian government agencies. These sanctions, falling under Executive Order 13694 and the Countering America’s Adversaries Through Sanctions Act (CAATSA), have not been described as directly related to election interference. The GRU, which dates back to the Soviet era, is the Russian military intelligence agency. In concert with its civilian counterpart, the SVR, the GRU handles external intelligence gathering and operates human intelligence officers. Additionally, it provides military intelligence for the Russian government and oversees Russian special forces (Spetsnaz). One of the ways in which the GRU distinguishes itself from its fellow agencies is its willingness to operate in unstable regions, often using riskier methods. The GRU is headed by Igor Korobov, who took over after the sudden death of its previous head Igor Sergun in 2016. Although the GRU’s official name was reportedly changed to “Main Directorate” in 2010, it is still known both domestically and internationally as the GRU. Unlike the SVR, the GRU is known to cultivate an “aggressive and risk-taking culture,” which it has recently displayed in Ukraine, Syria, and the 2016 coup attempt in Montenegro. The GRU’s footprints can also be found in private mercenary groups working toward the interests of the Russian government, like the Wagner Group, an organization active in Syria (among other places) and rumored to be funded by Yevgeniy Prigozhin, who has been indicted by the special counsel for his alleged role in financing the Internet Research Agency. While Prigozhin has not commented on the allegations, his firm was also indicted by the special counsel and has pleaded not guilty. One prominent example of the GRU’s “aggressive” culture is the attempted assassination of the former GRU agent Sergei Skripal on British soil. Skripal previously served in the GRU for decades before becoming an informant for MI6, Britain’s foreign intelligence service. After he was jailed in Russia, Skripal participated in a high-profile spy exchange and was granted asylum in the United Kingdom. In March 2018, Skripal and his daughter were poisoned using Novichok, a deadly Russian nerve agent. Skripal and his daughter survived, but a British woman later died after finding the discarded bottle containing the nerve agent. The two alleged assassins have since been identified as GRU officers and the British Government has claimed that the operation “was almost certainly also approved outside of the GRU at a senior level of the Russian state.” Russia has denied any involvement in the attack. The episode sparked an international backlash against Russia’s aggression abroad. More than 100 Russian diplomats believed to be linked to Russian intelligence agencies were expelled from more than 20 western countries in the immediate aftermath of the attack, and the United Kingdom has publicly accused the GRU and the Kremlin of perpetrating this crime. Since the attack, both reporters and government investigators have taken a harder look at the GRU’s methods and its widespread actions. Investigative journalists have traced the passports that GRU officers use overseas, combing through records to identify the individual officers believed to have been involved in the Skripal poisonings. The GRU has been under increased scrutiny since the Skripal poisoning, and intelligence agencies from Western countries, including the U.K. and the Netherlands, have recently attributed at least six high-level cyber hacks to the GRU (Russia has denied all involvement). These hacks include an attack on the World Anti-Doping Agency (WADA) in apparent retaliation for the ban on Russian athletes at the 2016 Olympics, and an attempt to hack the Organization for the Prohibition of Chemical Weapons (OPCW), which confirmed the use of the Russian nerve agent in the Skripal attack. In October 2018, the U.S. Department of Justice indicted seven GRU officers on charges including hacking, wire fraud, money laundering, and identity theft related to the WADA and OPCW attacks. The list of attacks contains one other well-known hack, one that U.S. officials had attributed to the GRU more than one year prior: the 2016 hack of the Democratic National Committee and Clinton campaign chair John Podesta. The U.S. intelligence community assessed that Russian intelligence officers, and specifically the GRU, launched a massive cyber operation during the 2016 election cycle. The GRU began these operations in March 2016, using personas and cut-outs including Guccifer 2.0, DCLeaks.com, and WikiLeaks “to release US victim data obtained in cyber operations,” most notably emails illegally obtained from Podesta and the DNC. In July 2018, Special Counsel Robert Mueller indicted twelve GRU agents and included detailed descriptions of the GRU’s efforts to undermine and influence the 2016 election. The special counsel specifically identified Fancy Bear, the hacking group responsible for the March 2016 DNC hacking, as comprising of several GRU units. Konstantin Kilimnik, a close business associate of indicted former Trump campaign chairman Paul Manafort, allegedly has extensive ties to the GRU. He has been indicted by the special counsel, who identified him as an individual linked to Russian intelligence and indicated that Kilimnik “had such ties in 2016,” although Kilimnik “vehemently” denies this accusation. Kilimnik reportedly studied at the Military Institute of the Ministry of Defense, known for training future GRU interpreters. Kilimnik worked for the International Republican Institute in Moscow from 1995 to 2005; one IRI official recalled that “when [Kilimnik] was asked how he learned to speak such fluent English, he responded ‘Russian military intelligence.’” Kilimnik’s GRU background was also on display during his time working alongside Manafort for Ukrainian president Viktor Yanukovych’s campaign. According to one of Manafort’s associates in Ukraine, “There was no secret that [Kilimnik] had been in the intelligence services back in the Soviet Union. He would talk about it.” Separately, Alexander van der Zwaan, a Dutch lawyer involved in Manafort’s Ukrainian work, reportedly informed the FBI that Manafort’s longtime deputy Rick Gates told van der Zwaan that Kilimnik was a former GRU officer. Kilimnik was also reportedly “investigated in Ukraine on suspicion of ties to Russian spy agencies” in 2016 but was not officially charged with any crimes. In June 2018, Mueller indicted Kilimnik alongside Manafort for obstructing justice and conspiracy to obstruct justice. Manafort has since signed a plea deal in which he pleaded guilty to charges of conspiracy against the United States; Kilimnik has not publicly commented on the allegations. Rinat Akhmetshin is a Russian lobbyist, active in Washington, D.C., who attended the June 9, 2016, meeting in Trump Tower. Although he strongly denies all ties to Russian intelligence, reporting has suggested he is linked to the GRU. He has reportedly claimed that, although he never joined the Russian intelligence agency and did not formally train as a spy, he did work with a “military counterintelligence unit” and served in the military police. A former U.S. Commission on Security and Cooperation in Europe staffer who met with Akhmetshin indicated that Akhmetshin “openly alluded to involvement with Russian intelligence,” and a former NSC staffer under Bush stated that Akhmetshin “would boast about ties and experience in Soviet intelligence and counterintelligence.” Akhmetshin has denied all allegations of links to any Russian intelligence agency. The Trump Organization’s attempt to build a Trump Tower Moscow during the 2016 election cycle also allegedly involved a former GRU agent who, according to BuzzFeed News, has also “been a source of important intelligence for the US.” This particular Trump Tower Moscow deal was pushed along with the help of Trump’s longtime business associate Michael Cohen and his childhood friend Felix Sater, who seems to have been the initial link between the Trump team and the former GRU agent. The alleged GRU agent reportedly tried to arrange financing for the project, which fell through in July 2016. The Obama administration’s December 2016 sanctions heavily targeted the GRU in response to Russia’s election interference, sanctioning individuals and entities for “malicious cyber-enabled activities” and identifying the GRU as a threat to U.S. national security. In addition to sanctioning the GRU as an entity, the Treasury Department also sanctioned three top GRU officers and GRU Chief Igor Korobov. This is not the first time a GRU chief has been sanctioned by the U.S.; in March 2014, then-Chief of the GRU Igor Sergun was sanctioned under Ukraine-related orders. Most recently, the March 2018 sanctions aimed at countering Russian interference in U.S. elections stated that the GRU “was directly involved in interfering in the 2016 U.S. election through cyber-enabled activities.” The sanctions specifically named six top-ranking GRU officials, including Korobov and another individual who had been previously sanctioned in 2016. The SVR, like the FSB, is considered a successor to the Soviet-era KGB and is perhaps the Russian intelligence agency with the lowest profile. Headed by Sergey Naryshkin, the SVR is the civilian counterpart to the GRU, and the two agencies are similar in their responsibilities. Like the GRU, the SVR handles external intelligence gathering and operates human intelligence officers, both under diplomatic cover and as covert officers. More generally, it focuses on collecting intelligence, conducting espionage, implementing active measures, and performing electronic surveillance in foreign countries. The SVR and the GRU often come in direct conflict with one another; their shared interests reportedly once led the two agencies to collect identical economic intelligence while simultaneously trying to prevent the other agency from collecting the most up-to-date information. Along with the FSB, the SVR also devotes resources to supporting pro-Russian movements in Europe. One of the main differences between the SVR and the GRU is their reporting structures. The GRU is a military organization and reports to the General Staff of the armed forces, whereas the head of the SVR (like the head of the FSB) sit on the president’s Security Council. The SVR may be most widely known for “its penchant for long-term, deep-cover spy rings, inherited from the KGB.” One of these deep-cover SVR spy rings was uncovered by authorities in the United States in 2010. These so-called “illegals” had been trained by the KGB and had been living in America for over a decade. The FBI arrested ten of these agents in 2010, and they pleaded guilty to conspiring to serve as unlawful agents of the Russian Federation. The agents were later swapped in a high-profile trade for four Russians who had been imprisoned for spying for the west. Although the SVR has yet to be named in any special counsel indictments, its links to the Russian election interference campaign have been well documented. The most notable example of the SVR’s connection to the Trump campaign involves Carter Page, who served as one of Trump’s foreign policy advisors. Years before he assumed this role, the SVR allegedly attempted to recruit Page, although he has denied these allegations. The FBI interviewed Page as part of its investigation into the SVR ring, although the authorities ultimately did not accuse Page of any wrongdoing. Podobnyy and Sporyshev were charged but protected by diplomatic immunity; Buryakov was arrested in 2015, pleaded guilty to conspiring to act as an unregistered foreign agent, and was sentenced to 30 months in prison. The FBI reportedly kept tabs on Page after the SVR attempted to recruit him, including after Page joined the Trump campaign as a foreign policy advisor in March 2016. The FBI began monitoring his communications under a FISA warrant beginning in October 2016. This warrant, and subsequent renewal documents, indicated that Page “had established relationships with Russian government officials, including Russian intelligence officers.” Page has consistently denied any affiliation with the Russian government or Russian intelligence agencies, but the fact remains that the Trump campaign employed a man who had previously been targeted for recruitment by the SVR and was under surveillance by the FBI for his relationship with Russian intelligence officers both before and after he joined the campaign. As noted earlier, various reports attribute the Cozy Bear hacking group to either the SVR or the FSB. While numerous media reports claim the FSB is responsible for this hacking group, a 2018 report from the Estonian Foreign Intelligence Service links Cozy Bear to both agencies. Additionally, in January 2018, it was revealed that Dutch intelligence had penetrated Cozy Bear’s network in 2014. Dutch intelligence operatives were reportedly in Cozy Bear’s network while the group perpetrated numerous attacks on American targets, including the DNC hack. Perhaps more critically, the Dutch operatives gained access to a camera that captured each visitor who entered or exited the space in which the Cozy Bear team worked. Dutch intelligence deduced from the footage that Cozy Bear was linked to the SVR. Although it remains unclear exactly which Russian agency is behind the Cozy Bear group, SVR involvement in Russian hacking efforts leading up to the 2016 election certainly cannot be ruled out. The SVR has thus far escaped an agency-wide sanction, although its current head, Sergey Naryshkin, was sanctioned in March 2014 under Ukraine-related sanctions (at the time, he was serving as Chairman of the Russian Duma). A clear picture of the three Russian intelligence agencies, their respective roles, and how they interact with one another contributes to the larger understanding of Russia’s unprecedented political attack on the United States. The three agencies have a history of cutthroat competition, and yet during the 2016 influence campaign, they often converged on the same targets using similar tactics, highlighting the Russian government’s true priorities. At least two of the three Russian intelligence agencies targeted the DNC during the 2016 election, the GRU and the FSB both had separate links to Manafort and the June 9, 2016 Trump Tower meeting, and individuals with links to both the SVR and the GRU managed to find their way onto the Trump campaign. The involvement of all three Russian intelligence agencies in the Kremlin’s 2016 influence campaign speaks to the high value placed by the Kremlin on the operation to undermine and devalue U.S. democratic institutions.